I am one seriously happy camper! I highly recommend the service and products at Long Pond Hearth and Home owned and operated by Steve Dugas. I researched a hot tub purchase for six months and Steve patiently answered (and sometimes had to repeat,) informatively and without condescension during the whole research period!. There is a lot to know about hot tubs and they can be very expensive. After exhaustive research, I am convinced the Nordic spa is the ideal tub for me, and the two brands Steve sells (Nordic and Bull Frog,) are the best built and purposeful in North America. Steve and his store associates are very kind and professional. They are always in a cheerful mood and will take the time to help you. We bought our Nordic Impulse DP just before Valentine's Day in 2018. Steve gave me a great price for my tub, delivered it, and helped me with advice and tools when we moved it to our new house at Christmas in 2018, I am extremely pleased with and highly recommend the products, customer service and overall experience with Steve and his crew at Long Pond Hearth and Home! I love the Nordic Impulse DP because unlike the tub we had that came with our previous home, it is round and has bench-style seating. It is so comfortable; it's like sitting on a living room couch while surrounded by soothing hot water. The whirlpool jet is awesome for putting my feet or back toward, and I appreciate that I can direct the jets and control their flow. I got the tub, cover, steps, and delivery for literally $3,000 less than any other area dealer for a 4-5 person tub, and no brand (carried around here that I know of,) other than Nordic offers a fabulous round tub. All in all, I am one seriously happy camper -- just about every day, with a cappuccino or Cabernet, depending on the time of day, with my Nordic from Long Pond! 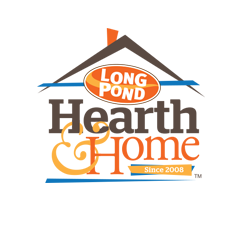 We have been purchasing our pellets from Long Pond Hearth for many years. We are repeat customers because they consistently provide the type of customer service that you just don’t find anymore -- they remember you and the details of your order and your preferences. Ron and Steve and their staff are AMAZING! Thank you for making our purchase and deliveries so easy! Second year buying pellets from Steve, who stores product indoors. You don't get that at the box stores, nor will they carry the best quality wood pellets. Do your homework. Best products and prices and an excellent local company to support! Love my Uuni pellet pizza oven! This thing is incredible. If you love pizza try making your own. We had a party today and made 36 pizzas. Our guest couldn't believe how awesome this little pizza oven made pizzas. Just a fraction of the cost of a real wood fire oven with the same results... thanks again Steve. Ok so I forgot my cell phone at work or you would have had a first for me. A picture of the best chicken I have ever had. KFC you are so in trouble. I Did what Stephen told me to do and the chicken from his Pellet Grill was out of this world. Fall off the bone, juicey and so ever tender. Don't mess around with the old charcoal and gas grills if you love to grill GO Pellet from Hearth and Home at 19 South Walnut Street Wauregan CT. Thanks Stephen love my Pellet Grill. Steve (the owner) was extremely helpful in regards to questions before the purchase of our hot tub and continues to be helpful after. I shopped around and their price was $900 less than their competitors. Highly recommend!! I bought my Bullfrog A-7 from Long Pond Hearth and Home in early summer 2015. We have now had several months to enjoy it. Steve was very helpful answering some questions... I finally settled on this model and from Steve for the following reasons. 1. No pressure sales style. 2. Helped me get the options I wanted, with telling me the things that were truly "extras". 3. Helped me sort through other brands weaknesses and strengths. 4. But possibly the biggest selling point. The Bullfrog brand has the best options for jets I can find anywhere for any price. 5. Finally Steve and crew delivered the tub for me and placed it. "When considering how I would heat my house this winter a pellet stove was a viable option for me. I went to Long Pond to see what kind of inventory was there and found the stove that would give the most heat for my home. Steve and his staff were extremely helpful also alerting me to a rebate offered by the American Lung Association regarding replacement of my old wood stove. Once the decision was made, Steve and his staff delivered and installed my stove and brought me a ton of pellets. The staff at Long Pond offer friendly and courteous customer service. I call when I need another delivery and actually deliver and stack the pellets for me. 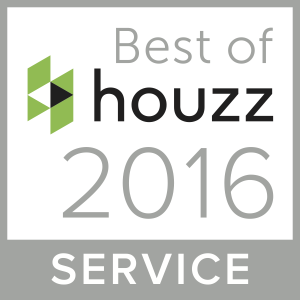 Customer service and satisfaction is a number one priority with this company. I would highly recommend them for your heating needs. Stop by the store and check out the hot tubs they have in stock. If you are looking for the most bang for your buck this is the place for you!! Best purchase we have made in decades! We highly recommend Steve & his business! Hi Steve just wanted to pass this along...everything is great no problems love the spa. It's everything I wanted and more. Thanks again. Ray. ★★★★★ I recently purchased a wood stove from Steve at Long Pond Hearth and Home and was thoroughly satisfied with every aspect of the transaction. Top notch customer service! Thanks Again. The only place in the area that can figure out how to keep pellet fuel in stock! Fast and friendly service, delivers on time! Stephen and his crew do a great job! The pellet stove I bought from Long Pond has performed wonderfully all winter. We heated our house only turning on the oil heat on occasion. We will recommend Long Pond to anyone looking for a pellet or wood stove. Picked up my new to me M55 Cast @ Long Pond in NE Connecticut. Kudos to them as they helped me every step of the way. If you haven't been there they have a nice operation. My wife and I were looking for a hot tub so we went to Long Pond to see what they had. We met Steve who was very knowledgeable and was a great help in choosing what would work best for us. We were impressed in their product and their stance behind it so we came back a week later and purchased our hot tub. If you're looking for quality products backed with honesty and a lot of friendly help then Long Pond is for you, we would recommend them to anyone. We have an antique home and we've been struggling with an older pellet stove. It was not keeping a good room temperature and kept shutting itself down. We found Long Pond Hearth & Home and had Steve come out to look over our situation. Recommendation: The stove was not large enough for the output we needed and too costly to repair. The original install was not quite correct, and improperly vented. With recommendation from Steve, we went with the M55 Cast Iron Multi-fuel pellet stove from Enviro. It is not only a beautiful stove that fits our decor but a heating machine that puts out 55,000 BTU’s of warmth. Steve and his team did an excellent job installing the stove, and correcting the ventilation. We are now warm and toasty! Thank you Steve and the Long Pond Hearth & Home team. We are burning LeCrete pellets. Great pellets and very warm home and a clean burn pot with NO clinkers in the burn pot. We have also heated our home with the Okanogan and Hamer Hot ones, a great brand of pellets as well....Love our pellet stove. I have burned 1/2 ton of the pellets and they are performing as well as any pellet I've used. Great Service - That Guy Bill is awesome! Good selection of pellets. Very competitive pricing of pellet / delivery. And excellent customer service. The guys at Long Pond did a great job and helped me load my pellets in my truck. I tried the pellets and they are great. I will definitely tell my friends to give these guys a call. I've been burning pellets for well over a decade, and have a lot of experience with both pellet dealers and quality of the pellets them selves. First of all, I found these folks to be very customer service oriented. Not only were the prices for the pellets the best in the area, but they offered to keep them in storage until the time came that I was ready for them. The storage facility is clean, dry and very safe. The parking lot is well laid out and accessable. The offer delivery at a charge that is typical for all the local pellet dealers in the area. I chose to use my own truck and they helped me to load them as well. As for the pellets themselves, I have run serveral bags through my insert and there are no problems what so ever. The pellets are made from hardwood, ash content is normal and heat output is excellent. The pellets have the usual fresh smell to them, the bags that they come in are strong and recycleable. I give Long Pond 5 stars. "We are so happy we found your business, we looked all over for a pellet that was hot and clean. The Super Premium pellet was just what we wanted. We burned a few bags this past week and we were extremely satisfied with the heat and noticed there was little to no ash. The delivery from your company was right on time and very professional. Thanks so much."